For women diagnosed with breast cancer, healthy weight and enhanced nutrition may improve outcomes. The goal of this study is to examine the nutrition education services available on National Cancer Institute (NCI)-Designated Cancer Centers’ websites. In 2017, websites of all 61 NCI-Designated Cancer Centers that provide adult clinical care were reviewed at least twice. Websites were analyzed for the existence and type of expert-directed nutrition education services for breast cancer survivors. Of the 61 websites analyzed, 49 (80%) provided information about nutrition education. Twenty (33%) included only nutrition counseling, three (5%) only nutrition classes, and 26 (42%) both counseling and classes. Forty-six websites included information about nutrition counseling; of these, 39 had an easily identifiable description. Thirty-seven class options were offered, 22% were specific to breast cancer, 16% to subgroups such as young women, 41% were nutrition-only classes, and 24% included skills education. Nutrition services are an important part of breast cancer treatment. This study demonstrated that most NCI-designated cancer centers offered counseling. However, the type of information that was offered varied and services were not always specific to patients with breast cancer. Further research is needed to confirm the presence of services, assess patient access, and demonstrate their efficacy in promoting optimal survivor outcomes. Silver JK, Raj VS, Fu JB et al (2017) Most National Cancer Institute-Designated Cancer Center websites do not provide survivors with information about cancer rehabilitation services. 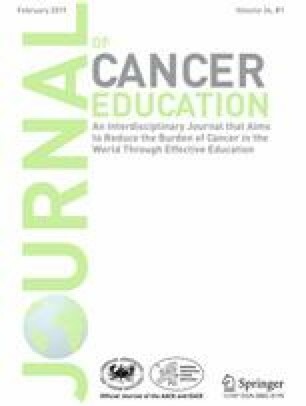 J Cancer Educ 7. https://doi.org/10.1007/s13187-016-1157-4.